Interview with Mr. Jason Judd, Chief Technical Advisor, International Labour Organisation (ILO) Country Office for Thailand, Cambodia, and Lao People’s Democratic Republic. The interview took place in Bangkok on October 9, 2018. 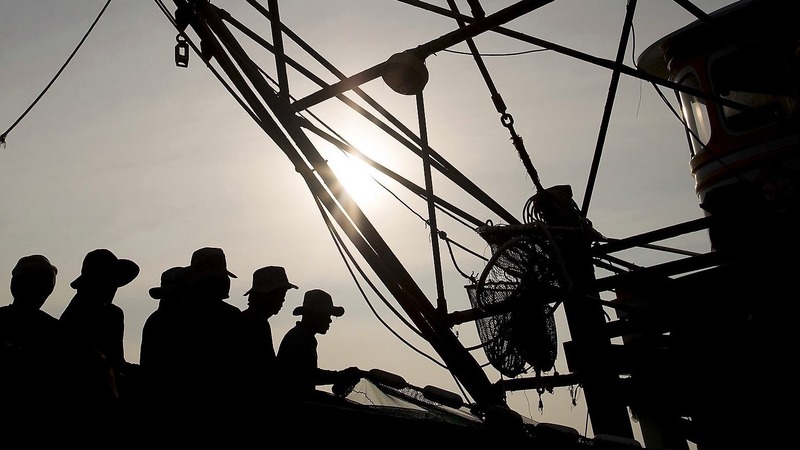 A recent study (2017) on working conditions in the Thai fishing industry, conducted by Rapid Asia on behalf of the ILO Ship to Shore Rights Project, found that withholding of wages and illegal wage deductions were common practice. One recommendation to deal with this problem was to move to electronic payment and the Royal Thai Government acted quickly, mandating that all fishers should have a bank account in which to receive their wages. Jason Judd explains that whilst the policy change itself was a positive outcome, it also presented new challenges. Q: Why is ILO pushing for electronic payment in the Thai fishing sector? We were asked by the Thai government, more than a year ago, how to respond to the wage protection problem, specifically in the fishing sector. One of the possible policy responses to deal with the issue is electronic payment that allows the government to use a third party—in this case, the banks—to verify that a payment has been made. The problems in fishing, for some fishers and some vessel owners, are the withholding of wages, making wrong payment of wages, and making illegal deductions. In the fishing sector, payrolls were traditionally done using cash and workers were not given pay slips. There was no effective way to track what payments were actually made. Electronic payment helps to solve this problem. It does not by itself end the problem, but it can be a useful tool. Q: What have been some of the challenges when implementing electronic payment? The first challenge is that some vessel owners are accustomed to using cash and never used electronic payments. There is naturally some resistance to making the switch. But the technology is almost 40 years old and all major Thai banks are familiar with it. So, making the switch is not difficult. Tens of thousands of migrant workers in Thai seafood processing factories are paid this way. For workers who are accustomed to getting paid in cash, getting a bank card and an account, and using an ATM are new. But not for all of them. We have met fishers who worked in the seafood processing sector—one in Samaesan just a couple of weeks ago who said, “Sure, I got paid through my account when I worked in the factory and I am familiar with it. I showed the guys on my boat how to do it”. A second obstacle is ATMs. There has to be an ATM near the port so that the fisher can easily withdraw money. The third challenge is that some employers take control over the bank card. If the fishers do not have control over the bank card and the pin code, then they do not have effective control over their pay. If that happens, we are sort of back where we started with another form of wage-withholding. At a minimum, fishers will have to have immediate access to the bank card and the pin code, as well as easy access to an ATM. Q: How can these three challenges be overcome? The government has worked to ensure that ATMs are available at the ports. In some places the ATMs are there, but not everywhere. The machines should be within the easy reach of the fisher—within one kilometer, for example. Another is education for the workers. ILO has produced videos in Cambodian, Burmese, and Thai to teach workers how to use an account, how to maintain control of their bank card, and how to work an ATM. It is up to the officials in the ports, NGOs, and unions to help make sure that workers see the video and know how it all works. And it’s up to employers to follow the new rules. There is progress, and we want to help the government, vessel owners, and workers make this work in every port. If you found this article useful, please remember to ‘Like’ and share on social media, and/or hit the ‘Follow’ button to never miss an article. You may also want to read this article: Is Thailand facing another migrant exodus? About the author: Daniel Lindgren is the Founder of Rapid Asia Co., Ltd., a management consultancy firm based in Bangkok that specializes in evaluations for programs, projects, social marketing campaigns and other social development initiatives. Learn more about our work on: www.rapid-asia.com.